Improve your entire landscape with an automated irrigation system. Most homeowners think of automated irrigation systems as something reserved for mansions or country clubs. They definitely are used there, but they can also offer benefits on almost any property. If you’re still watering your lawn and gardens with the hose, the old fashioned way, you’re likely using more water than you really need to and spending much more time on the maintenance than you really need to. Here are three ways that an automated irrigation system can improve your landscaping and lifestyle. Most homeowners know that the summer brings increases in water consumption because we are filling pools and other water toys and maintaining gardens and landscaping through the summer heat. An automated sprinkler system can do wonders for your water bills, at least as far as the watering is concerned. Professionally installed sprinkler systems ensure that water is distributed evenly over the whole yard and that only the areas that need to be watered get watered. After all, your sidewalk doesn’t need a daily dose of water, but with traditional sprinklers, it often gets it. Finally, automated sprinkler systems also ensure that your lawn and garden is watered at the ideal time each day. Watering in the middle of the day results in a lot of the water evaporates, so it’s better to water early in the morning or later in the evening. If you oversleep, you might miss the opportunity to water at the best time, but your automated system would have you covered. When the automated system distributes the water evenly, it ensures that no area gets more or less water than it needs. This saves your lawn and garden from the damaging effects of too little or too much water. You can achieve this with a hose if you’re careful, but it takes a lot of time and effort that you may not have to devote to it. 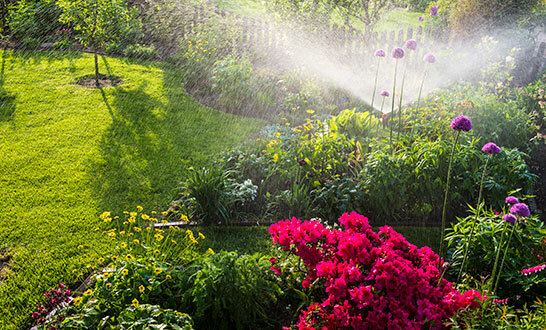 Many homebuyers today are looking for special amenities, like irrigation systems. Most new homebuyers are already spending most of their days working to pay for their mortgages, they won’t want to fit in hours of their time maintaining the beautiful landscaping you did to improve the curb appeal of your home. An automated sprinkler system can ease the concern of having to devote hours to maintenance. Installing an automated irrigation system can increase the value of your home by improving the look of your landscaping, and by making the property more appealing to potential buyers. Sposato Irrigation is uniquely positioned to offer high-quality, affordable, and reliable irrigation services to homeowners and business owners in Sussex County, Milton, Lewes, Rehoboth Beach, Bethany Beach, Fenwick Island, Ocean View, Millsboro, Dagsboro, and Ocean City, MD. Thanks to our expertise, innovation and decades of professional experience, we can meet the needs of large properties and small gardens. To learn more about our irrigation installation, LED landscape lighting, and commercial irrigation maintenance services, contact us today. We can be reached at 302-645-4773. Check us out on Facebook and Twitter!